* * * A Persian rug isn't a typical place you would expect to find grass growing, but head to the Korean Cultural Centre UK in London and you will find such a thing. 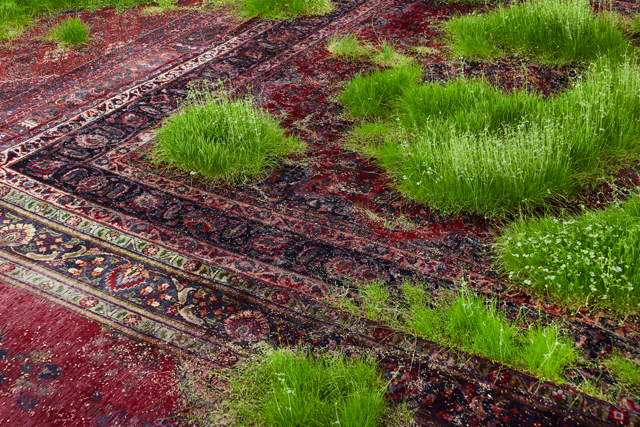 It's part of New York-based Austrian artist Martin Roth's untitled (persian rugs) installation. The piece is currently exhibiting as part of Riptide, an exhibition of Koo Jeong A. 's work which also features a selection of international artists invited by Jeong. 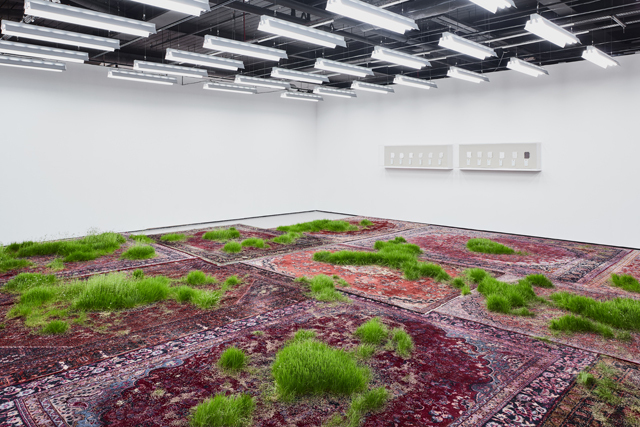 Roth says that, like Jeong, he explores the "poetics in everyday life" and his artwork in the show features a genuine Persian rug planted with grass seeds which grow through and encroach on the carpet—at first augmenting it then, eventually, ruining it. "I wanted to make a work about the recent urge by Western countries to impose their culture and values on other—primarily Islamic—countries, in an attempt to ‘improve’ them," explains Roth to The Creators Project. 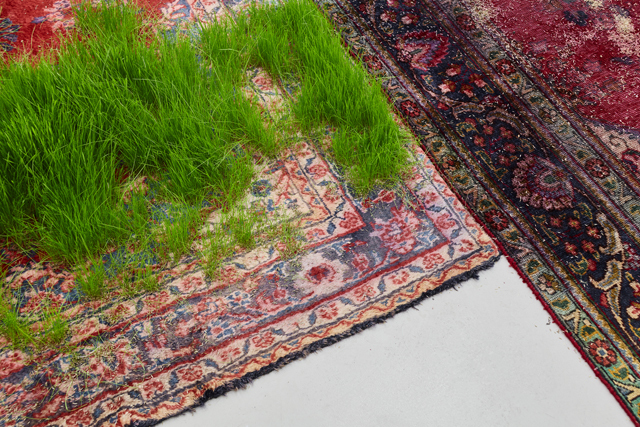 "When my grass (often made out of wheatgrass seeds) invades the Persian carpets, they initially create something new and beautiful. 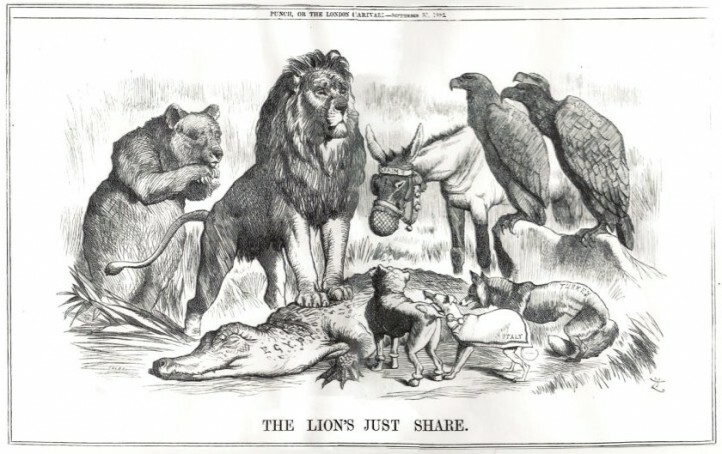 However, ultimately they destroy something old and valuable." Roth's work often features organic and natural forms invading art galleries or artificially constructed sites built by Roth. Last year Roth shipped rubble from the Syrian-Turkey border into a New York gallery for parakeets to use as bird litter. In 2012 he flooded an Austrian gallery, and he's also turned a sculpture by American artist Donald Judd into a dwelling for snails—juxtapositions which might seem incongruous, but not to the artist. "For me, they are not incongruous elements at all," Roth notes. 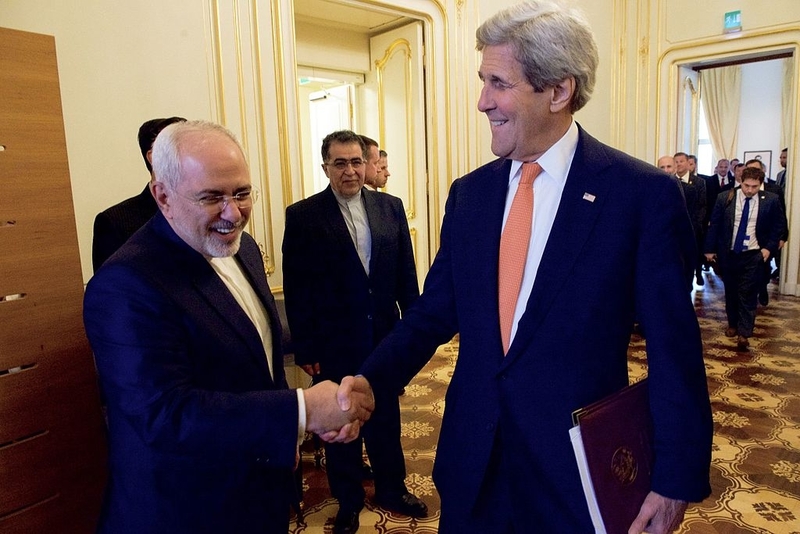 "Quite the opposite—I believe these spaces call for these elements. Why should a gallery be white and sterile, while many places around the world are in rubble? In a case of crisis, isn't a Donald Judd sculpture the perfect place to store nutritious snails?" For the Persian rug piece—it's the second iteration of this idea, the artist also did the same in an Austrian castle—Roth places seeds into the carpet then begins watering them, making sure the seeds never dry out. The artwork then requires constant attention and nurturing to grow well. "During the process I become more of a gardener than an artist!" Roth says. "But it’s a utopic gesture—wanting to create something from nothing. 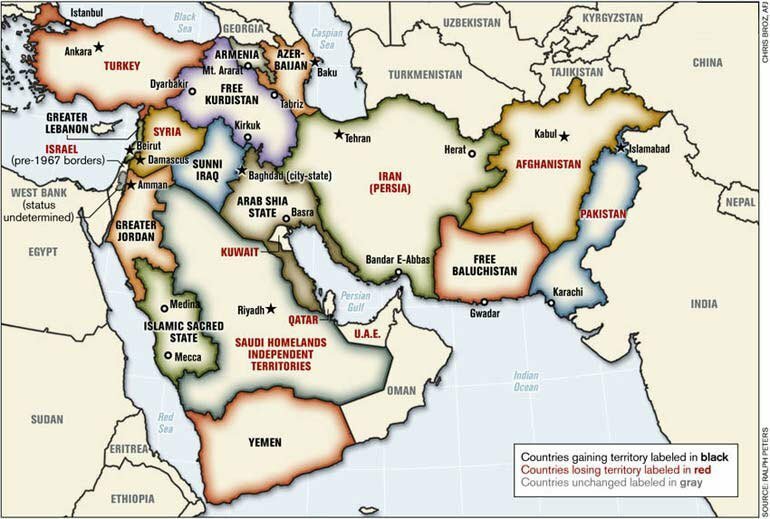 Often I’d explain that the grass grows from the dust of history. The work is impermanent, it only lasts for a certain time. Nothing can sustain itself without sufficient nourishment." 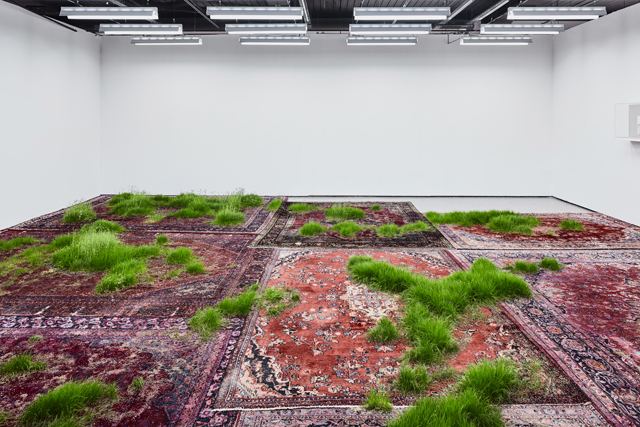 Initially the grass becomes an echo of the patterns on the rugs, but as the grass grows and the watering causes the seeds to move around, it takes on its own forms "like a virus taking over a land"—and begins to create its own patterns. Then, eventually, the grass will cease to be watered and die, while the rug will be damp, soaked and wrecked by this temporary lawn. "It is important that the works are constantly changing," notes Roth. "I want the audience to see and experience a different exhibition each time they visit the show. Moreover, it is key that I don't have full control over my work, that it has a life of its own. I want the final piece to be a collaboration between myself and my 'materials.'" 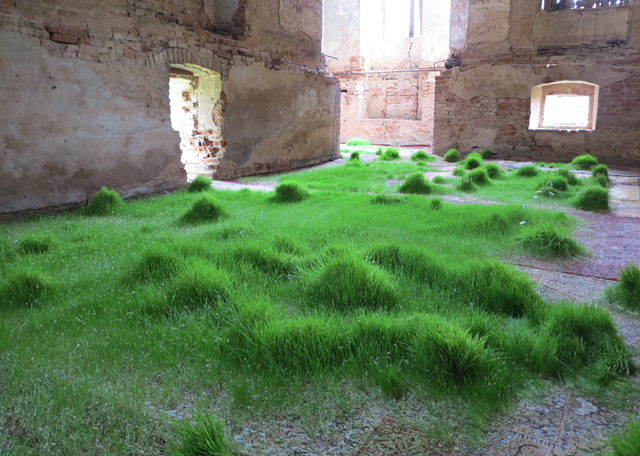 Martin Roth, 'From May to June 2012 I grew grass on rugs in a castle'. Installation shot from Kalsdorf Castle, Austria. Courtesy the artist. * * * Koo Jeong A: Riptide is on now until November 19, 2016 at the Korean Cultural Centre UK, London, WC2N 5BW. Visit Martin Roth's website here to learn more about his work.